i remembered seeing this click from your previous post - event review for chaine de rotisseur. had to go to that old post to double check. glad to find out i remembered it right. :-) Means i am really paying attention to what i am reading on your blog. It is a lovely click indeed and very eye-catching in black and white. i also love the quotes you add in so many places of your blog.. really really love them! OMG La. you are awesome. Yes, I took this pic in the chaine de rotisseur dinner. :D. Thanks for all your lovely comments. It definitely made my day! I love photos of booze bottles! Yours is great in black and white! Very sophisticated and posh. 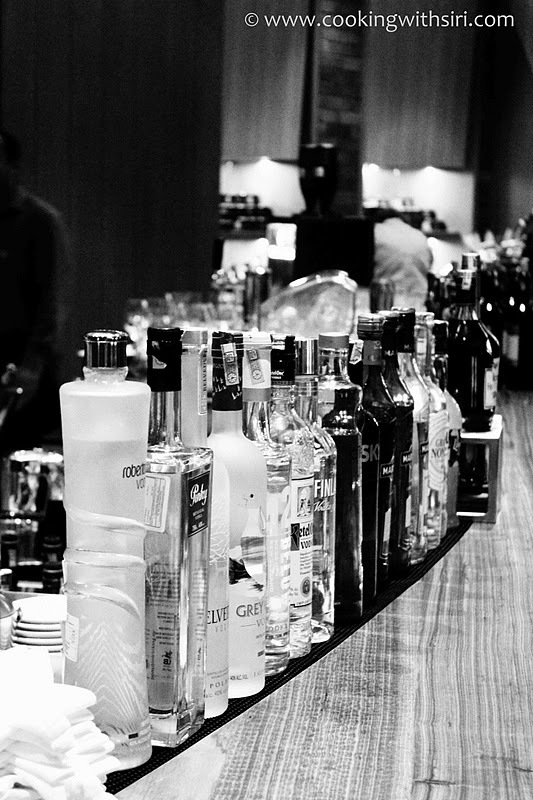 Love how the eye slowly moves along the bottles from the white vodkas to the vanishing point. Thanks for the great BWW photo, Siri!